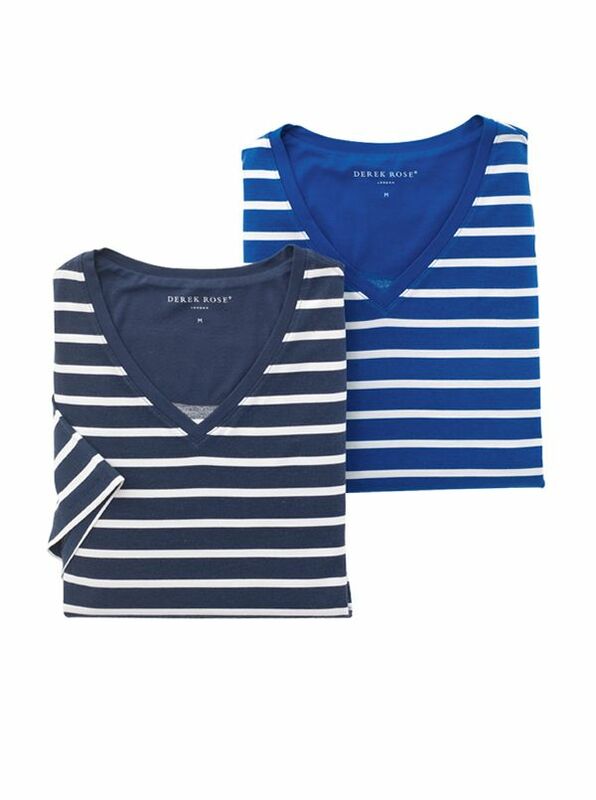 Derek Rose Short-Sleeve Modal V-Neck Tees are comfortable all the time, everywhere! ear with shorts, pull-on pants, or as a most comfy sleep top. 95% micro modal/5% Lycra for stretch. Imported.